By buying this product you can collect up to 28 Yachtaid Points. Your cart will total 28 points that will be converted into a voucher towards your next purchase! Must be logged in to collect points. 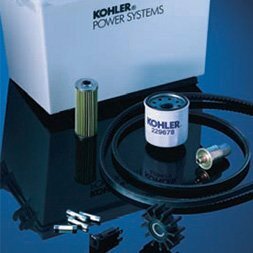 Includes: seawater pump belts, brushes, containers, filters, fuses, impeller repair kit, spark plugs, and zinc anode kit.